Greetings everybody. It has been a while. Writing has its own pacing, and I find it is impossible to do with anything other than good ideas and an itching for them to get out. I’ve had the ideas for a while but truly what created the itch was the same thing that reignited the kindling flame; the bold triple-stroke that is rotation, Core 2.0 and the new ban-list. Today we will not go into that however, I prefer touching on more general topics. We have a fantastic set of people that do a more thorough and detailed analysis of the meta-changes than I ever could. Today we will be talking about perspectives. 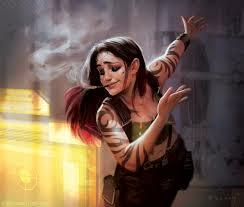 This article will be equally philosophical to my previous The Zen of Netrunner. If you don’t like fluffy stuff, stop reading and go suss out the new meta! If you do like fluff and bunnies, please continue. The aim of this article is to provide some perspective (ironically) on what our community looks like, who are a part of it, and what we can do to retain a healthy community. We will have a reboot of the game. New players will come in. The Netrunner community is known for its friendliness and that is what we will use to make this game grow again when the Core 2.0-bomb hits. What I mean with perspectives are different ways to look at the game. I believe that there is a truth to everything. And with something complex the truth is often equally complex and very hard to grasp all at once. Humans, however, often are more predisposed to simplifying the subject using concepts, mostly because that makes it way easier to grasp and discuss. A Perspective in my definition is a way to look at the full truth, but only see parts of it because that is your focus, that is the concepts you care about. Usually this means that the parts that you do see you might see very clearly, and in that sense a perspective is both good and bad. 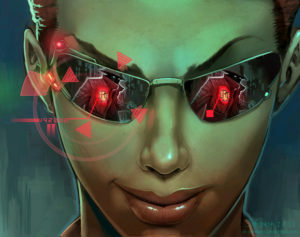 This means different players look at Netrunner and see different things. The things they see may be equally true, but the parts of the full phenomenon they have access to are not the parts another player may see as clearly. Look at the following picture. Nice rabbit, isn’t it? Imagine this rabbit is placed in the middle of a round table. People are seated all the way around this table, looking at the rabbit and each other. In a world where people did not know that there was depth, that an object was actually 3D, it would look to all participants like the silhouette of the rabbit that they saw was the only truth that mattered. Why a rabbit? I don’t know. Ask my subconscious. It is easy to see that the different people would see different things. Some would see an elongated shape, others would see a stubby shape. Some would see the face and nose, others would not at all. Everyone would see at least one ear, but would describe them differently. Who is correct? No one, of course. Or everyone. The only true rabbit is too complex to comprehend all at once. By talking to each other the people could imagine the complexity of the true rabbit, even approximate it, but it is difficult because it always conflicts with the very clear truth they see before them. 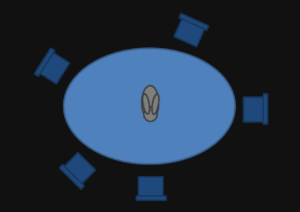 A player could move their chair, even though they might be reluctant to. However then they would have to abandon parts of the ‘truth’ for new parts. In many cases they would fail to realize that the rabbit had more sides however. Where am I going with all this? 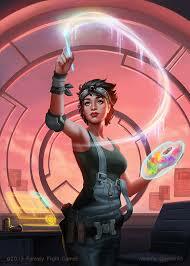 I am of course going to talk about players differing opinions of the game of Netrunner. What humans are prone to, and what they very often do, is that they deny any other silhouette of the rabbit is possibly the truth. If anyone describes the rabbit to them with a single ear they scoff at this preposterous notion. A rabbit with one ear? Surely this person is a lunatic! In the community I see many perspectives represented. Some voices are louder than others, and some see a larger part of the truth of the game than others for sure. With authority comes the ability to represent your perspective as the only true perspective. This is a trap that i see people fall into, unfortunately. If you spend a long time playing a game like this you will develop skills and knowledge that are very nuanced and informed, but you will never cease to be biased. If you are new at the game you will have many misconceptions that will be sorted out over time, but your perspective can still be valuable and contain truths that others may miss. If you don’t play Netrunner and still talk about it you probably look at a fuzzy picture of the rabbit, or maybe you’re crawling under the table looking for it. Regardless, I will argue that everyone has their biases. It is impossible to see the rabbit completely. Even for very experienced players, and experience often comes with its own biases. Games are about fun? Well, yeah. Kinda. Maybe? But fun is different for different people. What is important to understand is that misconceptions can often arise from what one person considers fun, or worthwhile would not be considered that way for another person. A large reason for us to disagree is that we want different things, but sometimes we disagree because the ‘other side’ does not appeal to my sense of fun. It is more difficult to see why the other side has their opinion. This article will try to give a more nuanced (and more realistic) view on Magic’s classic player archetypes Timmy, Johnny and Spike. I prefer using the term perspectives as i rarely think that these perfectly map onto individual people, but rather that different people have different weight to the categories. I will go though some perspectives that I identify, and as many people I place myself between some of these categories with more or less strength in each one. I try to take on other perspectives if I can however, and try very hard to deny any perspective its viability. This type of view of the game is the most focused on winning games. The primary goal is to win, and any other considerations are secondary. If viewed through this lens the player becomes very efficient at evaluating single cards, discussing the current meta and interactions within it as well as giving tips and advice in regard to it. I believe most top players have a strong competitive perspective. Some take it on when needed, others stay in it all the time. There is a certain satisfaction to mastery, and the measure of mastery to the competitive player is winning. You cannot balance a game properly until it has been churned through the ruthless efficiency of competitive players. The competitive players biases are commonly that they are very attached to the skill set and cards they have used to win. Further, they can be very quick to dismiss new cards or ideas. They are often correct, but being finely tuned towards what is effective right now they miss the things that will change the meta. If something proves to be good, it will become obvious after it wins a tournament after all. The important thing for the achieving player is that feeling that whatever they did, they did it well. This can be playing games, building decks or any other skill. These players need to find complexity and conquer it to feel good. To them winning is very important, but it matters greatly how the win was achieved. The ultimate goal of the achieving player is improving. If the win was handed to them by matchup, randomness or other factors out of their control they feel snuffed of the satisfaction of an earned win. To the achieving player it is very important that the game stays ‘healthy’. Health is usually defined as having many important choices in a game. For skill to be as relevant as possible. The achieving players scoff at anything that makes winning easy or that bypass the lengths they have crossed to be what they consider good. They do not like anything that reduces the decision-space, or factors like randomness or card-draw affecting their possibility of feeling mastery. They often practice with something that allows them to beat other players with complex decisions, and may not like when a new strategy is completely sideways to what they have put work into learning. These players look for self-expression in creativity. They are always looking for a puzzle to solve. This perspective loves looking at the complexity of not only the current meta, but to find ways to break it. They are skilled at spotting novel combos or concepts, and if they have a competitive streak they tend to be very good deck-builders. For the crafter, mastery is taking their creations to a tournament and showing people what they are missing by beating the current standard meta-decks. If the puzzle gets stale, they’re out, looking for new challenges. The most important thing for the crafter is to be challenged with options. They love sussing out the good options from the bad options. The crafting players don’t like when the meta becomes stale. Whether this be with a good amount of complexity in a certain match, that is not enough for them. They want to be challenged with a vast decision-space and have a chance to figure things out for the first time. In a meta where most discoveries are made they will grow unsatisfied if all their efforts turn out to be less effective. The experiencing player loves excitement. This perspective is the one that find the most joy in novelty, creativity and engagement with the game. The typical player loves the medium of the game. Building decks, playing decks, seeing interesting combos and trying new things. Unlike the achiever, competitor or crafter they have no issue switching once they feel they had enough of a certain thing. They don’t worry about keeping at the same thing for a long time. 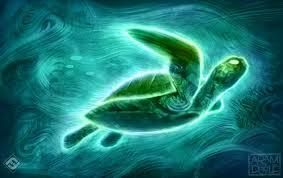 They are not primarily looking for mastery like the previous three. They are looking for engagement. For these players this engagement can come from the community itself, from the social conversations around the game or from the spectacle of a tournament or the joy of play. Often all of them. The experiencing players get energy from the buzz. They thrive on a living game and healthy community and when others pursue internal motivations they pursue external ones, and interaction. Regardless if they are competitive or not they do not like it when competition comes at the expense of enjoyment and experience. The casual player differs from the first three in a very important sense. They do not have or do not want to put as much energy into the game. They love experiencing the facets of the game, and like hanging out, playing games and going to meetups. But for them this is one hobby of many, and while they appreciate the depth of the hobby they see others go into, they are comfortable and secure enough with their own preference. The casual player does not look for the highs of experience that the previous three are, but they also are less likely to be disappointed when they cannot find what they want. They were never that invested in the first place, and there are many good games out there. The casual player likely greatly values engagement with the community, and they love hanging out in the environment created by the game. The Casual players don’t like when being told what to do. This is usually the case with the more invested players, as some of them look down at the casuals as not playing the true game or not being ambitious enough. The casual players want to feel free to engage with whatever part of the game and community they feel like, without being judged. And they have the full right to do that. Everyone takes the path through the casual perspective before ending up anywhere else. This is a long way from the competitive mindset. These players are sitting directly opposite the rabbit from the competitors, and casually engage with the game at their own pace. They are not invested in the community necessarily, and do not buy all the product. 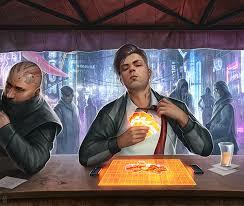 They enjoy Netrunner as a game together with a few people and play at their own pace. Often this is a spouse or close friend, and they enjoy discovering the game together. These players are numerous, but since they rarely engage with the community that they find high-paced and too involved they are rarely seen or their voice heard. The value they add to the community however is by supporting the game of Netrunner, and helping FFG to finance development and balancing that everyone else benefits from. In addition, the kitchentablers (yes, that is a word now) live in their own meta, as they play and tech against whetever opponents they hav and their decks. They do not sync up with the ‘internet meta’ or the local metas that sligthly differ from it. Now, finally. Look at the picture at the top again, the table and the rabbit. This is the designers perspective, from above. While the designer is unable to see some parts of the game that are only visible from a certain angle, he (in this case) sees both a neutral and balanced overview and sees all the other perspectives. He needs to, it is his job to make everyone happy and keep them engaged. To do that he has to provide depth for the achiever, an even playing ground for the competitor, puzzles for the creator, a vibrant community for the experiencer and the possibility to casually engage with the game for the less invested players. The designer of a card game has to be able to take on the perspective of the parts that make up the community. To try to see the game from their side. To provide challenges to the different types of players looking for mastery and make sure that the enjoyment of one perspective doesn’t come at the cost of the enjoyment of another. This is difficult since the depth to which some players dive into their perspectives can take a lot of effort and skill. The further you are into one of them the harder it is to see the game differently. The clarity you can get while in a certain perspective can come at the cost of only seeing from that perspective. The only way for a single human to handle this is to lean on the players with these perspectives. That is what playtesters are. Everyone has their own perspective. Very few fall straight into the categories I describe above. Perspectives are powerful. They are useful. 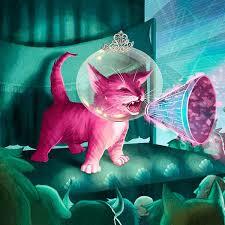 To win at Netrunner you will need to be a bit competitive. To love it you have to have fun. However it is valuable to be able to step outside your own bubble, and see where you are lacking in regards to others perspective. Most likely they have both strengths you do not consider and you have blind-spots that makes you prone to react a certain way. Introspection and realizing where you fall in the above categories may make you appreciate what others bring to the table, since not everyone is after the same thing. Most of all you should do whatever feels right to you. The most important point I want to make is that while you engage with whatever complexity or experience you enjoy best, always give other players perspective the benefit of the doubt. Know that whatever you do, even if you are the designer of the game (hi Boggs!) you only see part of the rabbit. Thus, humility is very important. If you respectfully disagree with someone, that is fine. If you try to see the game from their side you might find out why you disagree.